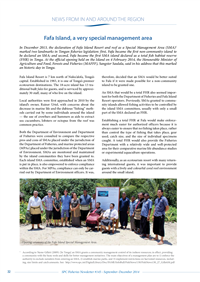 Morrish V., Malimali S., Moale V., Fale Ngafule P.
Morrish V., Malimali S., Moale V., Fale Ngafule P. 2015. Fafa Island, a very special management area. SPC Fisheries Newsletter 145:32-33.